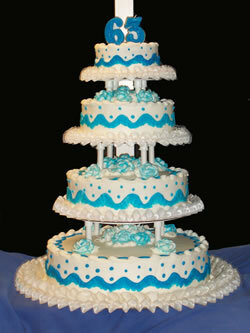 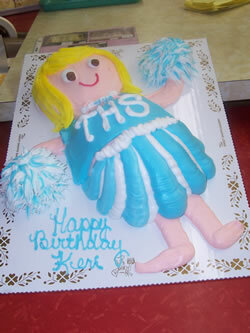 Welcome to our photo gallery of decorated cakes. 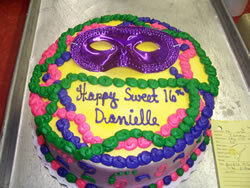 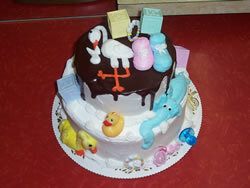 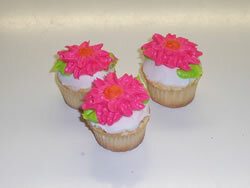 The decorated cakes shown on this page are great examples of the creativity offered by our bakers at The Sweet Shoppe. 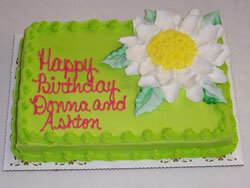 We are not limited to these designs at all - in fact, if you can imagine an idea for a cake, we can make a custom decorated cake especially for you and the occasion. 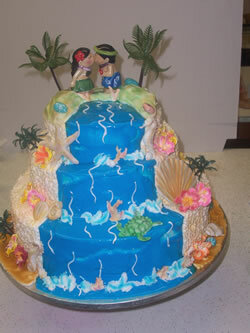 Say "Aloha" with this cake! 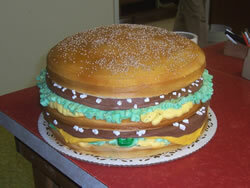 This cake looks like a hamburger! 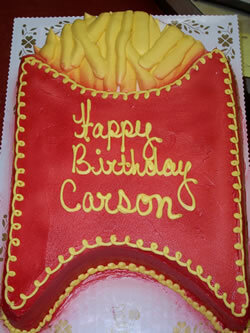 ... or even the "It's Friday, and I DESERVE a cake" excuse! 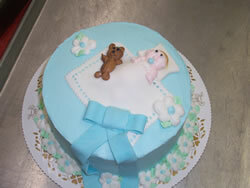 Our skilled bakers are standing by to create the cake you need!